We understand how difficult it is for families to find a correct treatment center. We would like to offer our services to assist, and furthermore be a shoulder to lean on. Provided that a person is willing to get help we will help them find treatment. If they are not willing to get help we will assist with intervention. Don't hesitate to call us as we have many resources in and out of Chester County. We do this for free for the simple reason that someone did it for us. We believe recovery is something attainable for all individuals who keep an open mind. That being the case they also have to be willing. We created a structured sober living environment because it will enable individuals that are struggling with drug or alcohol addiction to achieve their wildest dreams in recovery. By actively participating in our clients lives we have established a unique approach to addiction that leads to long term recovery. We understand the importance and the dramatic change a recovery house can have on an individuals life provided that they follow a few simple rules. With this in mind we hope you reach out to us now! We created The Phoenix Recovery Project to bridge the gap between detoxification and inpatient residential drug and alcohol treatment to long term recovery. We will help anyone find treatment. By creating a structured recovery house we hope to achieve that goal.Through our experience we have recognized that recovery is a life long process that requires a daily commitment in order for a profound transformation to occur. 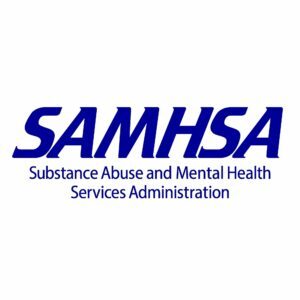 An intense sober living program like this was missing from Chester County Pennsylvania. We saw an opportunity to promote positive change in the community of Phoenixville, PA for the purpose of creating a caring environment for those seeking recovery. We will do our utmost to insure that we will create the best recovery house experience possible for those seeking help in the Greater Philadelphia area more specifically in Chester county. If you are not appropriate for our house we will help you find treatment. Brandt found recovery on April 27th, 2010. He has never looked back, and continues to help others on a daily basis. He received his Bachelors in Political Science from West Chester University in Chester County, and spends his free time volunteering in his community. Brandt has held many different positions in the addiction treatment field from clinical intern to admissions coordinator. He has helped thousands of people find treatment due to his passion for recovery. Paul was working as an apprentice for the electrical union when he almost gave up hope. He found recovery in December of 2012 and as a result he wanted to create a special program. It is his belief that people have the best opportunity at recovery because of a strong recovery house. Paul's phone is always ringing due to his community involvement as he guides families to find treatment. He has been in good recovery houses and bad ones which is why he wanted to open his own. In Chester County there are little to no resources. It is his goal to bridge the gap! 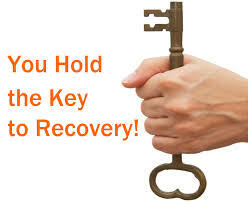 Pick up the phone and call us now to see how we can help guide you or your loved one into recovery! Find treatment in Chester County.